Dream of being a Diving Instructor? Plan your professional diving career with us. 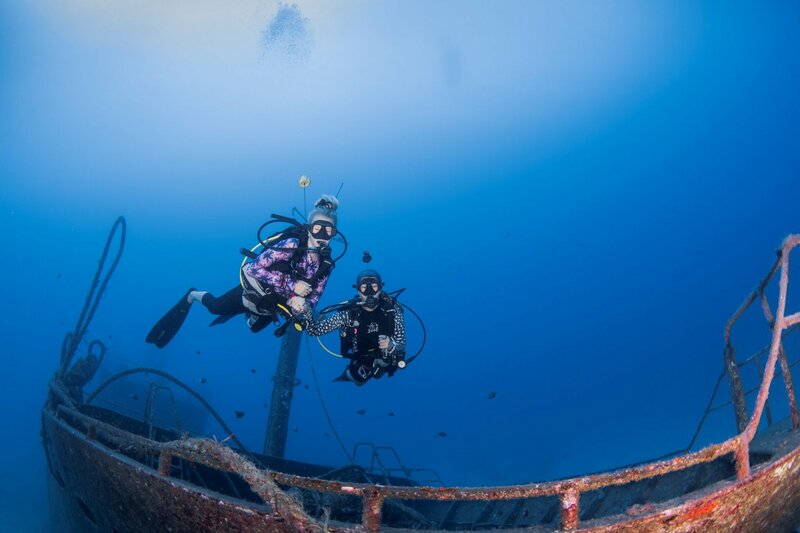 Are you dreaming of pursuing a career in the Field of Diving? Why not fulfilling this dream with us? We offer you an individually tailored Education Program. Already a diver and want to become a DivePro: Join our Team, we can offer the diving experience you are searching for. Every year we offer FREE internship spots to individuals who wish to achieve a SSI or PADI Dive Master rating (or higher), who are willing to learn and who share our passion for diving. The ability to be a team player is required. During this time you will be working alongside members of staff with 6 working/ training days a week. You will get 1 day off every week. You may sign on for the internship even as a Open Water Diver (additional costs apply), however, you will only officially begin the internship after you have obtained the DM course prerequisites. Learn and understand the mechanics of a Dive Center, from sales to logistics etc.